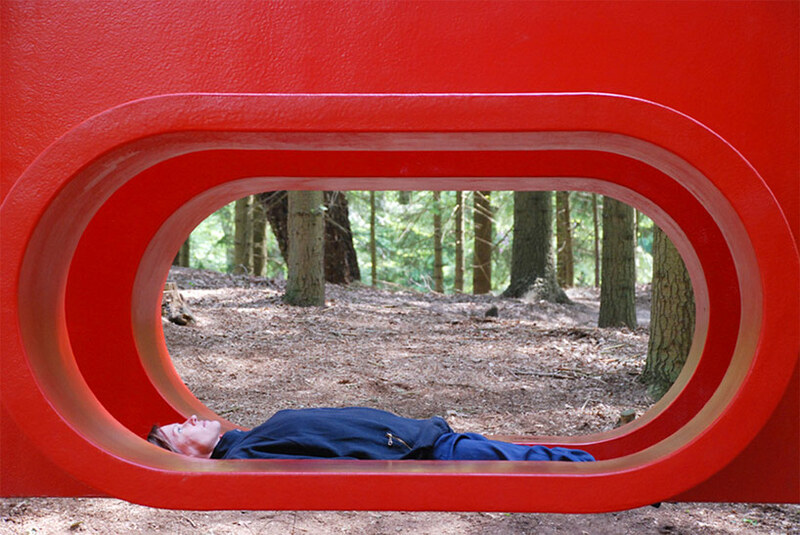 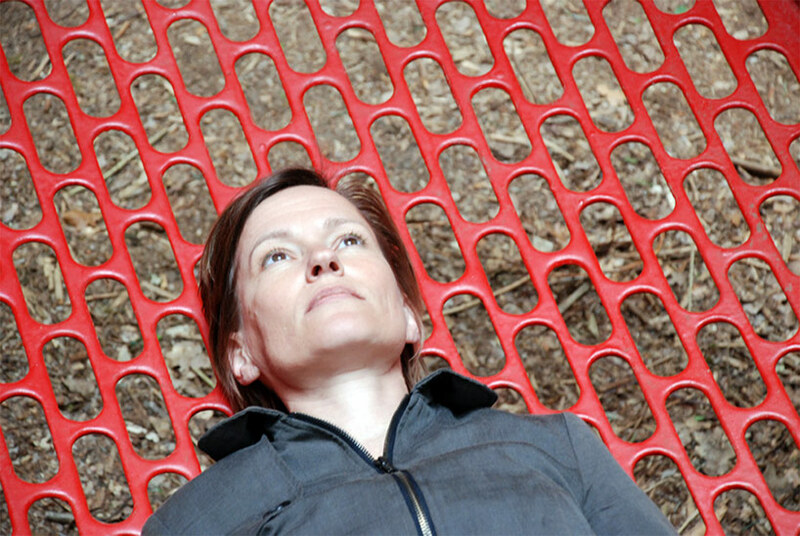 hidden within a forestscape, dutch artist rob sweere has realized ‘the hub’ a soothing meditation chamber, which provokes an organic experience for the visitor that lies inside. 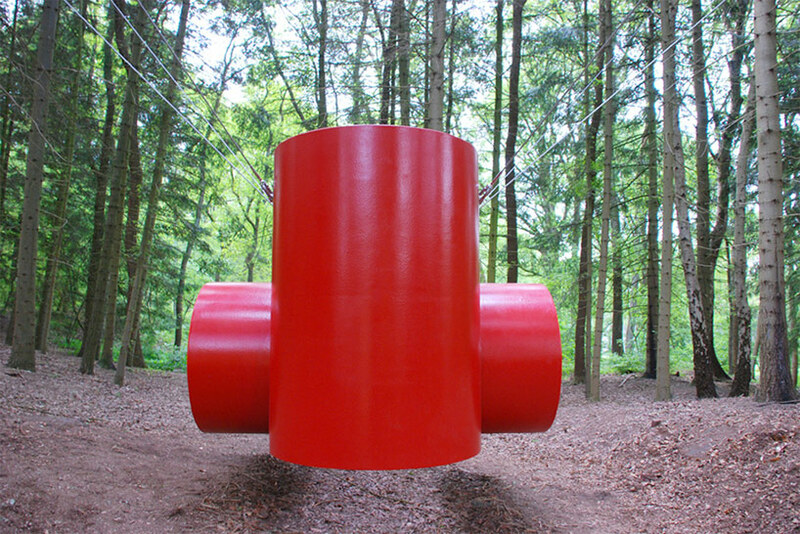 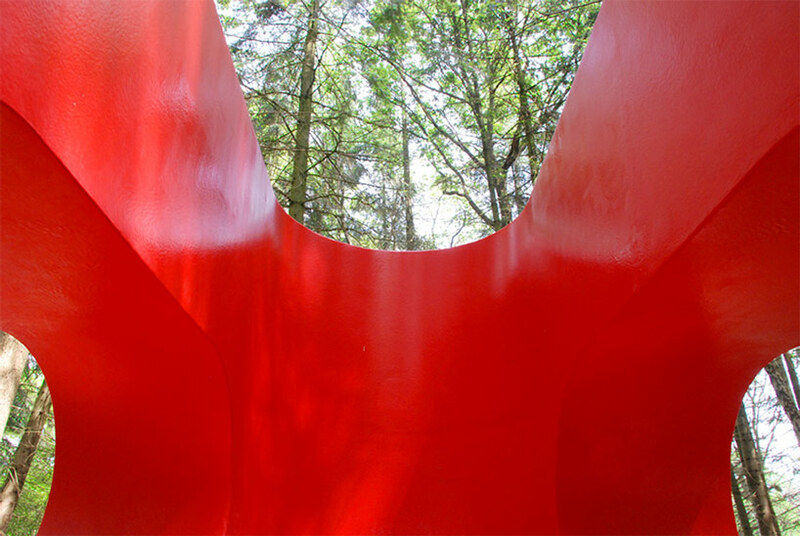 six, taught steel cables connected to nearby trees suspend the immersive red form from the surface of the earth. 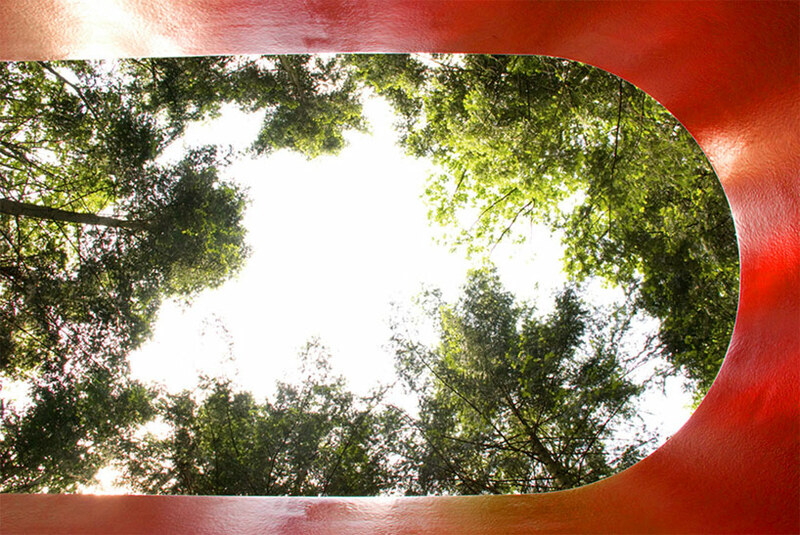 the person lying within can view the sky, framed by the tops of the towering trees, through a gaping mouth at the object’s crown. 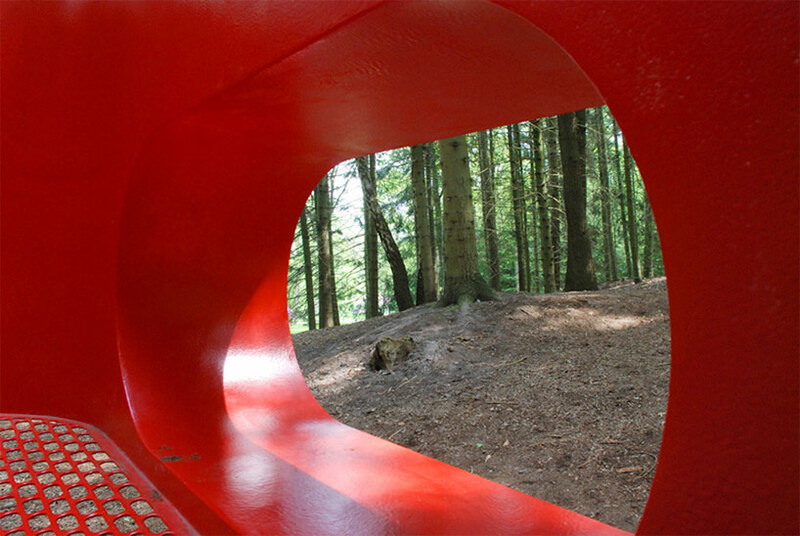 openings on either side of the structure surround the interior with natural light, as well as reveal fragments of the woodsy landscape that encompasses it. 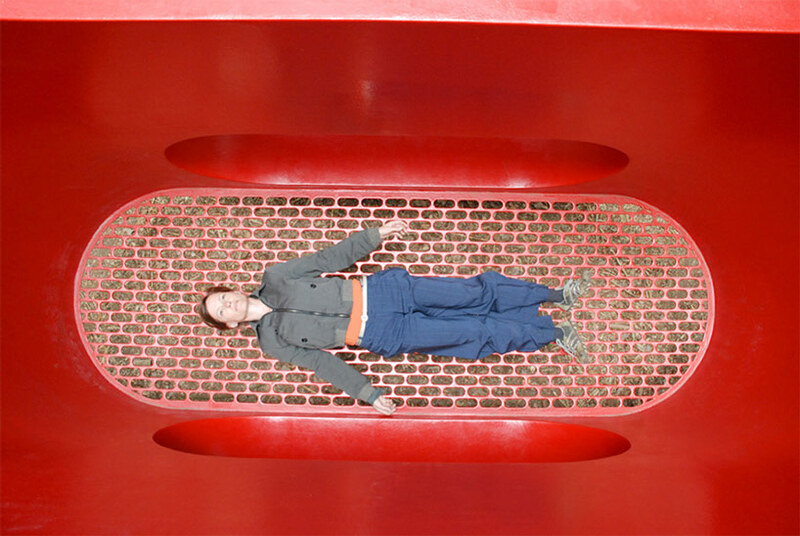 created from aluminum and polyurethane, the habitat’s therapeutic objective is characterized by its silhouette and aesthetic: a grate-like opening at its base allows air to flow inside and hovers the daydreamer just above the ground, merging the visitor and environment as one. 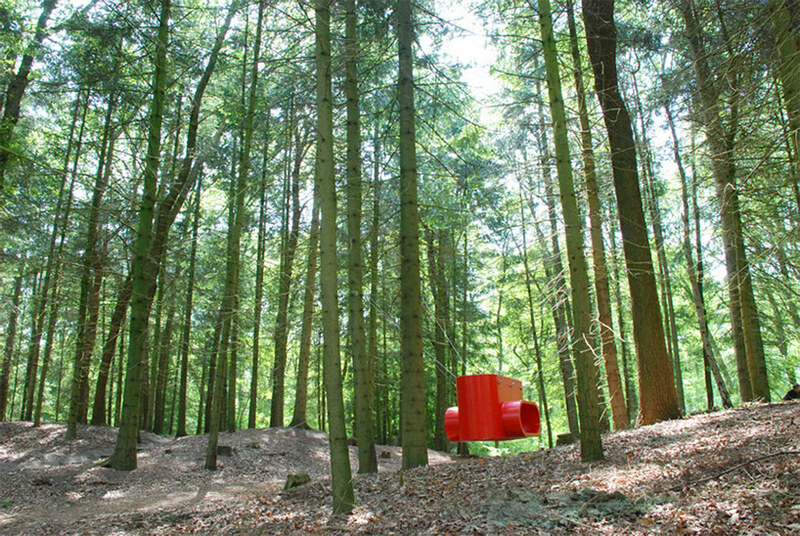 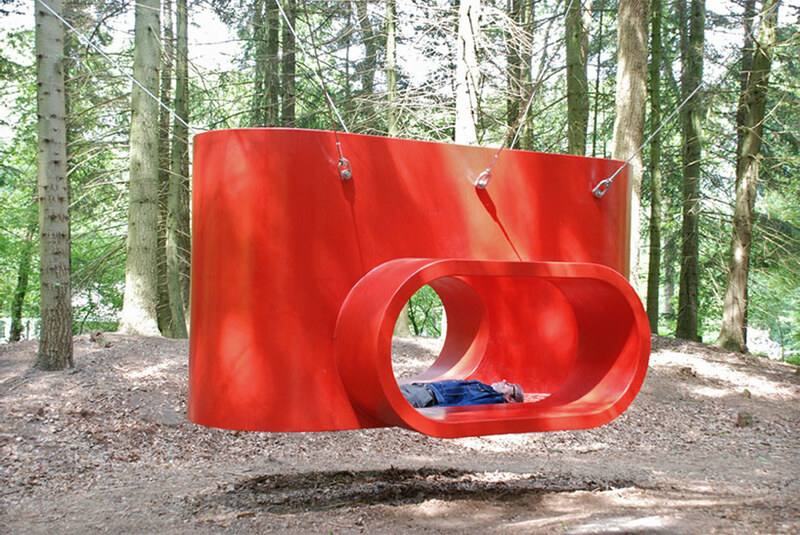 ‘the hub’ is a permanent artwork specially designed for the sculpture garden of the kröller-müller museum in otterlo, netherlands.